It seems fitting that on the site's tenth birthday to announce my second book. 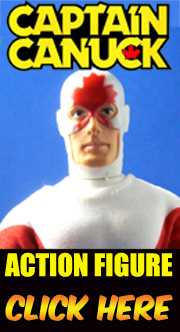 After the wonderful experience and success of Rack Toys, I am ready to start on Mall of Justice : Recollections of Meeting our Heroes. 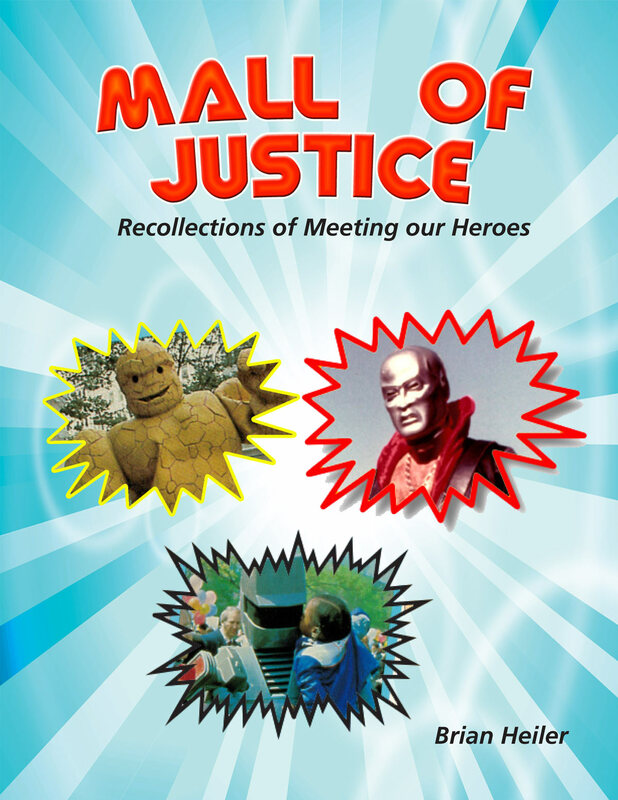 Mall of Justice is a love letter to the sensational personal appearances of our comic book, TV, movie and toy icons during the 1970s and 80s. 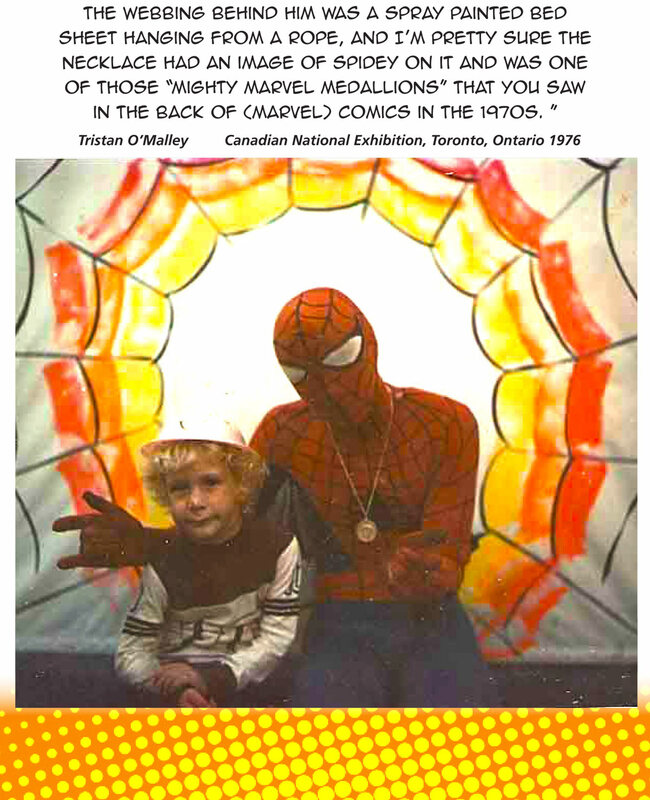 Whether it's Adam West at a car show, He-Man at a Toys R Us opening or an ersatz Chewbacca at a stereo store, Mall of Justice melds vintage photos with childhood recollection of these epic meetings. While I will design and eventually publish the book (via PlaidStallions Press), it's a project we can all get involved with! 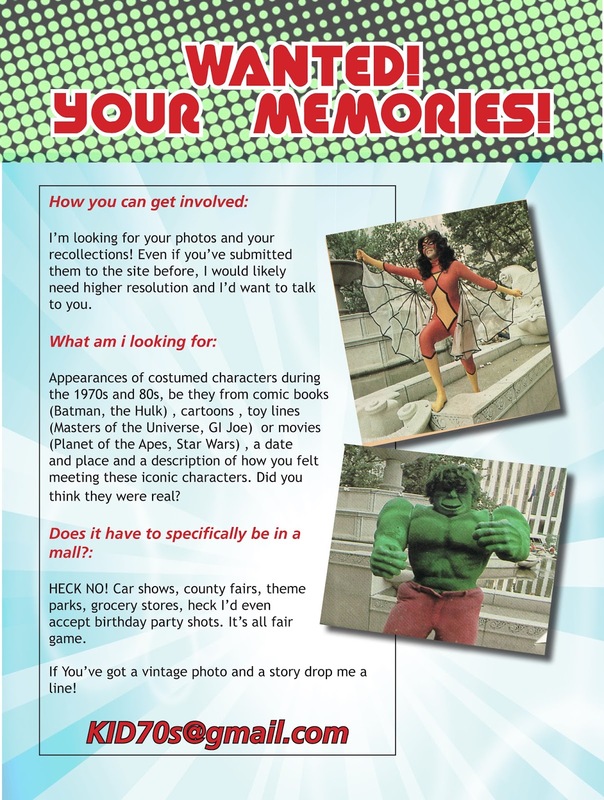 How you can get involved: I'm looking for your photos and your recollections! Even if you've submitted them to the site before, I would likely need higher resolution and I'd want to talk to you. What am i looking for: Appearances of costumed characters during the 1970s and 80s, be they from comic books (Batman, the Hulk) , cartoons (, toy lines (Masters of the Universe, GI Joe) or movies (Planet of the Apes, Star Wars) , a date and place and a description of how you felt meeting these iconic characters. Did you think they were real? HECK NO! Car shows, county fairs, grocery stores, heck I'd even accept birthday party shots. It's all fair game. Download the PDF Concept booklet for Mall of Justice Here. Check out a Little Flip Book Here. Thanks everyone for reading and I hope you'll share your experiences with me! This may be a stupid question, but does it specifically need to be a hero? Not sure if there will be section on the odd costumed characters that the 70's used any chance they can get. I have a 1978 photo of me at Disney World with some odd Orange Julius bird mascot. The funny thing is I never remember seeing any Disney characters that day, just him! I remember being totally star-struck when I saw Darth Vader appear at the local Sears by my house (L.A.). As an 7 or 8-yr.-old kid tops, I was in this weird limbo of kinda figuring that he wasn't real, but also walllowing in the possibilities that he was real and was planning to conquer Earth. In a way I was hoping that the latter was the case. Either way, he was a towering figure and my heart raced unlike any other moment I can recall. I think my parents took a couple of pictures—I'll try to find them! Battlestar Galactica: The Big One for 79/80? Slacks with Color at Your Waist!